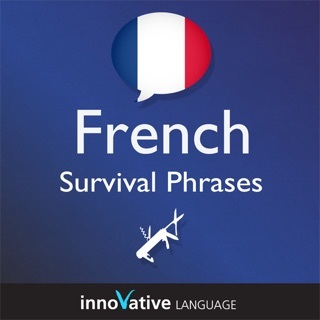 Survival Phrases - French, a completely new way to learn Basic French fast! 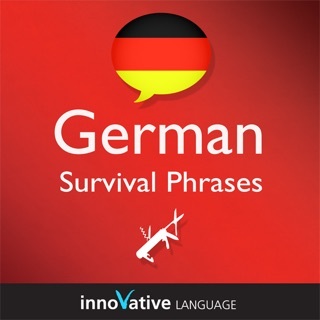 Survival Phrases - French will have you speaking with proper pronunciation from the very first lesson and prepare you with cultural insight, travel tips and other information to utterly shock and amaze your friends and family, travel companions and people you meet along the way. Are you about to travel to France? - Do you need basic French and proper etiquette for business reasons? - Do you have a French speaking partner, family or friends? - Are you a fan of French films, culture, or history, and want to start learning the French language? Whatever your reasons are, we've designed Survival Phrases - French with YOU in mind, so that you will get immensely satisfying results FAST. These 30 short and effective audio lessons will allow you to: - speak French before the end of your first lesson - use your newly learned French in everyday situations - understand the culture, customs, and people of France - order the food you want in restaurants - ask directions and travel by taxi, train, bus and car with confidence - master manners, etiquette, customs so you don't embarrass yourself - visit or host French guests with confidence- introduce yourself, friends and family - learn to ask for help and avoid danger and tourist traps - learn travel tips and the "do's" and "don'ts" from the experienced host This is NOT a vocabulary builder with just words and their translations. Unlike other audiobooks, we actually TEACH French and French culture. Each lesson is TAUGHT by a professional, bi-lingual teacher! Listen to the preview now! 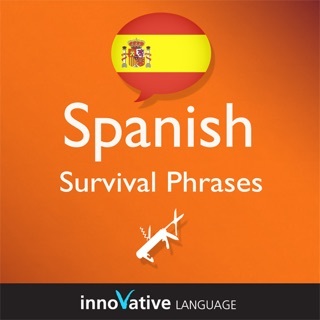 Features: -30 audio lessons with key phrases, vocab, cultural insight, and practice - 2+ hours! - downloadable lesson notes corresponding to each lesson, 50+ pages -view phrases and vocab on your iPod or iPhone Downloads in minutes!